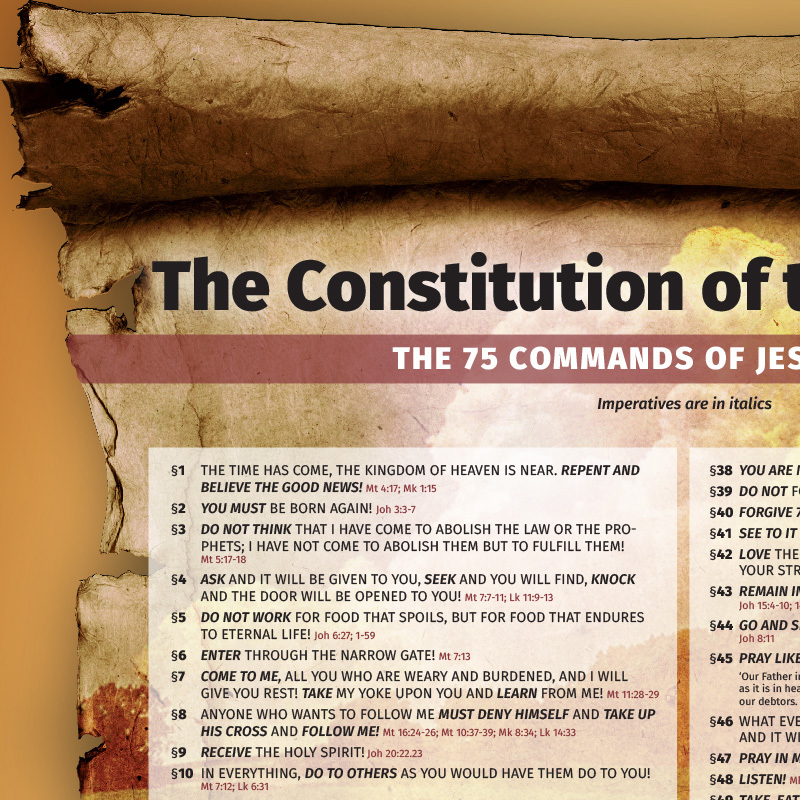 Exactly 384 times does Jesus Christ use the grammatical imperative to decree his commands to his followers. After all double entries (doublettes) are weaned out we are left with 75 commands. 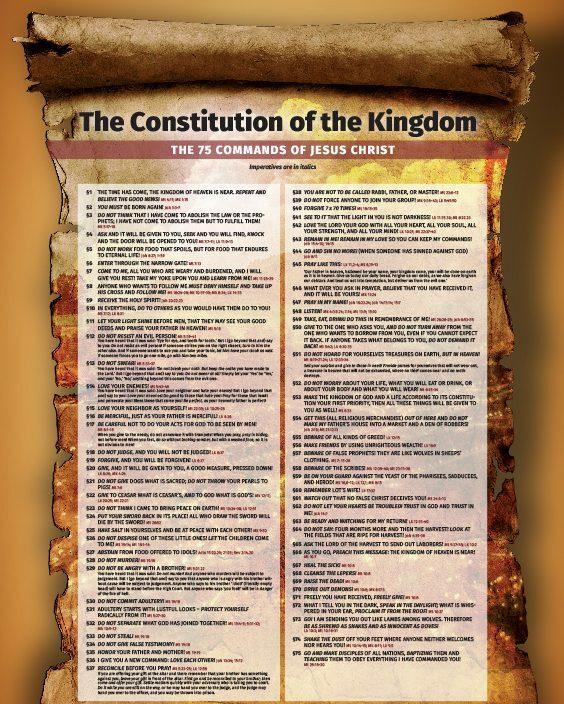 Jesus did not only present himself as savior and healer, but also as law giver, commander and King of the country he rules, the Kingdom. Today, we would call the sum total of foundational laws of a country its constitution. This is the law about which the Apostle Paul says: I am under the Law of Christ (1 Cor 9:21). 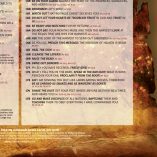 This regal legal code does not just consist of laws like love God! Love your neighbor!, but also contains laws like Do not hoard! Do not swear! Love your enemies! Beware of theologians! 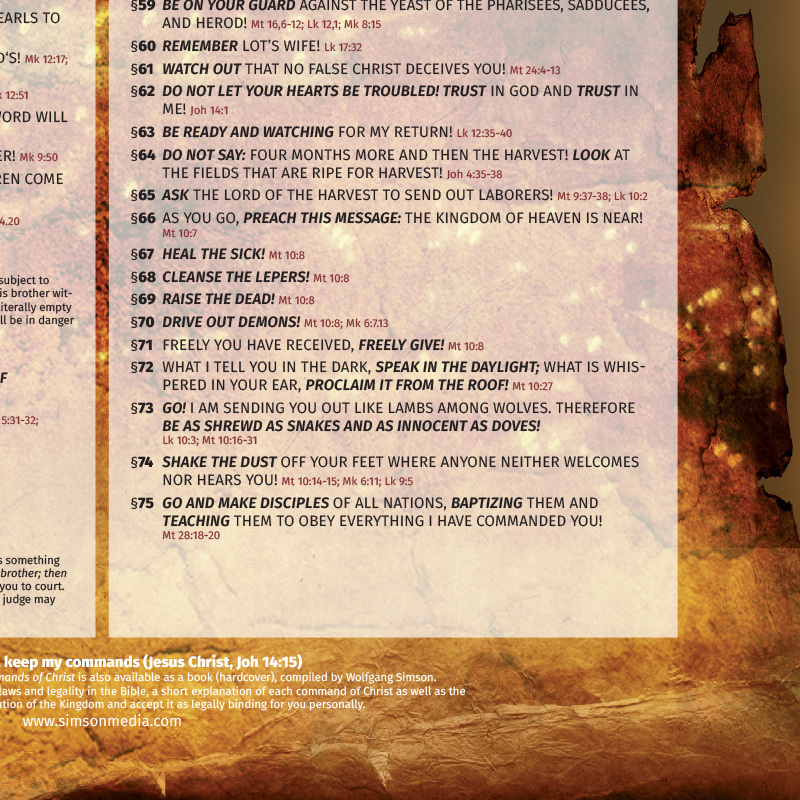 The last command of Jesus was: Teach them to obey everything I have commanded you. „Everything“ quickly turned into „some things,“ and „commanded“ became „recommended“. This is how Christianity drifted more and more into practical lawlessness and kinglessness. Most Christians do not any longer know that life in the Kingdom of God follows a very clear body of laws; it is not an anarchy at all. 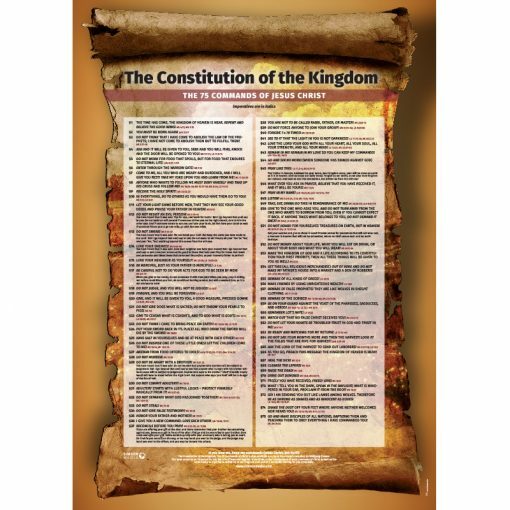 This poster is a companion to the book The Constitution of the Kingdom. 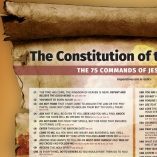 The 75 Commands of Christ (compiled by Wolfgang Simson; English version available spring 2015) that contains an introduction to the four bodies of law of the Bible, a systematic compilation and short explanation of all 75 laws of Christ and include the possibility to initial and sign the constitution as legally binding for those that want that.